So D.I.C.E happened 2 weeks ago, and it. was. EXCELLENT!!! I had a blast at it. So here is some of the art I got at it. Now it's no secret I'm a Tommy Lee Edwards fan, but I might have taken full advantage of him being in Ireland this time. I got 4 pieces off him, the first is a cover of wolverine 310, the second is a sketch Sinead secretly got me, she said he was delighted to draw his own character for her. Love this cause Sinead loves the 20's era stuff so I think it might have converted her to a "sketch hunter". The third piece I bought off Tommy Lee, it was a toss up between the Galactus piece and a cowboy piece... Galactus won out when it turned out Sinead liked it too. I'll have to post the 4th piece later. 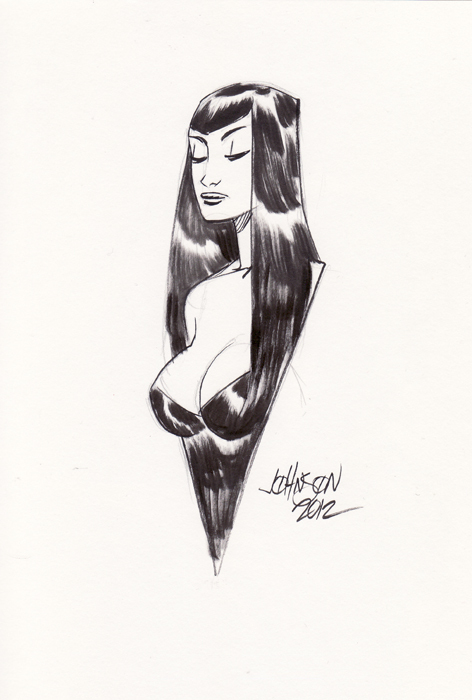 The next artist I got a sketch off was the brilliant Dave Johnson. Talk about an excellent bloke. Sometimes you worry about meeting artists you love, you know the whole don't meet your heroes etc. But Dave johnson was an absolute gent. And what a talent!!! love his stuff. 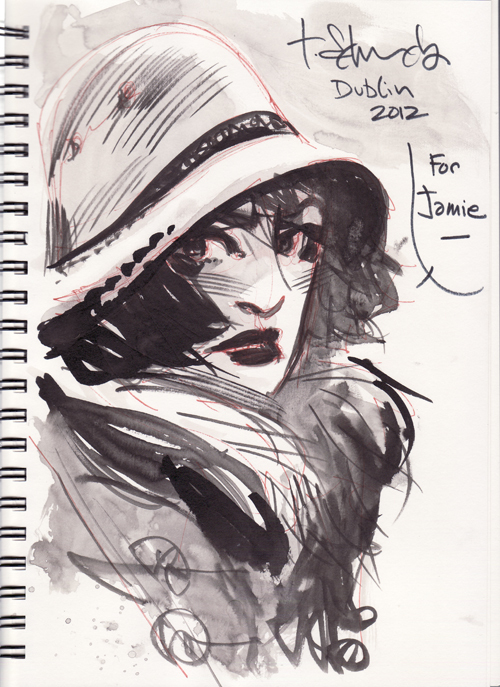 He did this sketch in about 10 mins, and I love it. 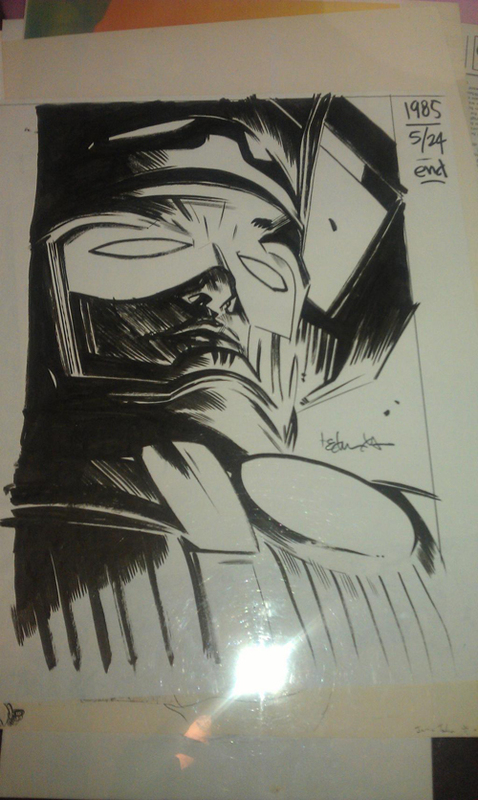 Last but not least, I got a sketch of Jeff Parker. Jeff is a writer with Marvel (and other things), and this is pretty "sweet for a writer". 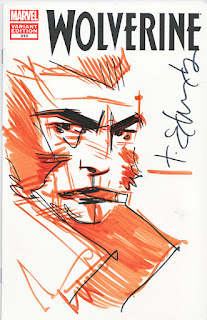 Jeff was a brilliant meet, he writes the thunderbolts comic my friend Dec was artist on, and we were cracking jokes at each other and had a great chat about comics. Other than that it was an excellent weekend. I think it was a brilliant weekend for Irish talent too. Both my friends, Stephen Moondog Mooney and Willl Sliney had personal panels in which they talked about their creator owed projects. Steve actually got to announce that his book, Half Past Danger, will be printed by IDW.... which is amazing. Brilliant sketches Jamie I understnad why your so made up! Cool post.